Even the best of men are punished for their good intentions. IN THIS SERIES OPENER, Leon Weber is in the final month of his prison sentence; he’s about to go home to his son. But during a violent storm, his release comes sooner than expected, and the world he reenters is overrun by an alien menace that hitchhiked through space on the tail of a comet. His journey to find his son will be fraught with danger and death, but the future of the world rides on his survival. 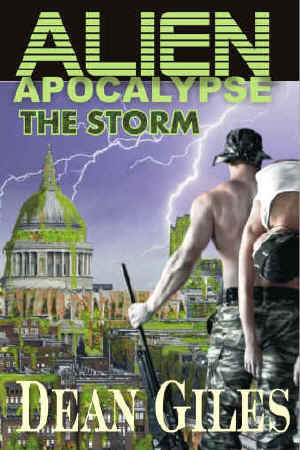 Praise for "Alien Apocalypse - The Storm"
Review By Adam Shaftoe at Page of Reviews. Review By Marilyn Baron - author of "A Choir of Angels" & "Follow an Angel" & "The Stand-in Bridegroom"
Alien Apocalypse: The Storm, by Dean Giles, is a page-turner from beginning to end, and when it ends, you’ll be craving more. The story is told from the points of view of a 12-year-old boy and his father, who is in prison for manslaughter. It’s a gripping tale, full of shocks and surprises. Giles is a master of suspense, from the heartbreaking start to the horrifying end. His characters are sympathetic and strong and they need to be if they’re going to save themselves and “save the world.” I highly recommend this story. Review By Craig Jones - author of "What Happened to Rhodri" & "Gem - No Loose Ends" & "Gem - No Secrets"
Review by Ursula K. Raphael "AstraDaemon"
Imagine trying to fight an enemy that can hurt you if you touch it, or if it touches you, and you will have the formula for a frightening apocalypse with little to no hope. "An oil spill to save the planet." 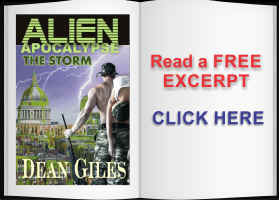 The Storm is the first story in the sci-fi series, Alien Apocalypse, by Dean Giles. Elliot (nice tip of the hat to E.T.) is a child who lives with his aunt and uncle because his mother was murdered in front of him, and his father, Leon, is in prison for manslaughter. 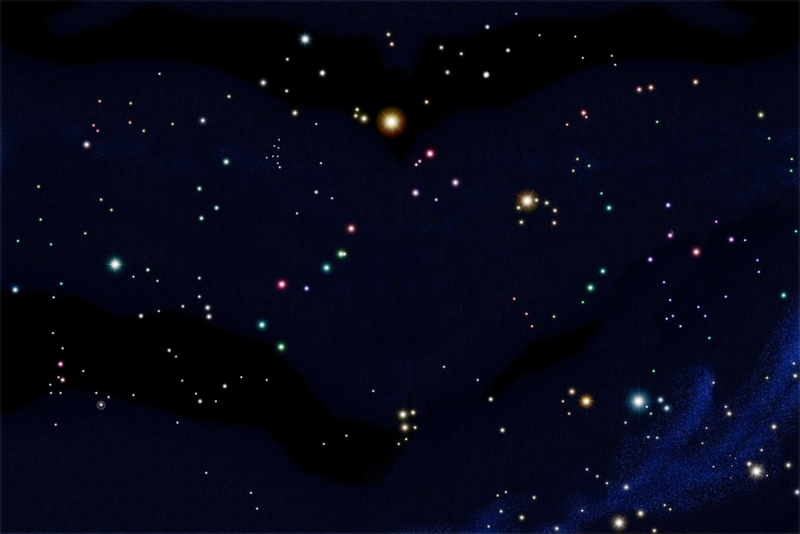 The settings and POV switch between Elliot and Leon as the world awaits the passing of a comet nearing Earth. Background news reports hint at unusual qualities of the comet, and foreshadow a terrible outcome as the tail end of the comet leaves debris in our atmosphere. Leon finds himself in solitary confinement, cut off from what his happening to the outside, until one of the guards enters his cell, claiming that aliens are attacking and killing everyone. I am not claustrophobic, but the scenes in the prison nearly triggered an anxiety attack as I imagined what Leon was going through, being confined to a small space, while wondering if his son was still alive. When the guard and Leon finally emerge from the cell, what they find is more horrific than mere aliens. Leon is determined to reach his son; along the way he discovers that certain substances will ward off the invading force, and he hopes his discovery will keep them alive long enough to reach Elliot. Dean Giles does a great job of blending sci-fi with horror to keep his readers on the edge, and I look forward to reading more from him. Review by AJ Kirby, Leeds UK, author of "Perfect World"
Dean Giles' Alien Apocalypse (The Storm) is an action-packed sci-fi romp which is topped with generous helpings of thrills and spills, but which doesn't skimp on the science bits. Tersely written, well characterised, and containing some great dialogue, this short is highly effective and forms the start of what should be a series to watch from Giles, an author I've never encountered before. Set in a familiar UK (in locations such as HMP Wormwood Scrubs and the farmland of the South Coast) it tells the story (in alternating viewpoints) of Elliot Weber and his father, as they separately come to terms with an alien invasion and the murder of Elliot's mother when he was only eight years old. It begins with Elliot's recurring nightmare of this terrifying event, and then quickly shifts to his father, who is jailed at Wormwood Scrubs for an (as yet) unidentified crime. Overshadowing this is a comet which is looming ever closer to the earth. When the aliens arrive, it is deftly handled by Giles. He breathes life into what could have been clichéd images. Because he's invested the characters with such humanity, we suffer them anew. "Elliot watched the TV screen as aerial footage of London showed a green shadow growing across the brown stone of Westminster. The picture changed. The same substance was climbing the Eiffel Tower. Again, the location changed to the Statue of Liberty and showed her robe covered with a tapestry of green residue..."
The chase, when it comes, is a terrific climax. Very filmic. There are parts, such as when the aliens approach in the wing-mirror, that are reminiscent of Jurassic Park, others which are like War of the Words. But what this story most recalls is John Wyndham's "Day of the Triffids." This story is a modern twist on that old story, and it doesn't suffer by comparison. Very good. Alien invasion literature has been around since 1871 but really took off and has been part of the scifi landscape ever since H. G. Wells’ “The War of the Worlds” in 1898. The genre has given us aliens of all types. Dean Giles, in his novella-length initial installment of his series, gives us a hive-like sentient being looking like so much algae. The story revolves around Leon, a prisoner sentenced for beating to death the young man who killed his wife. When the alien makes the jump from a fly-by comet to the earth, he escapes the first attacks and is released. His sole drive is to get back to his son, Elliott. Giles writing style is right to the point without too much extraneous sidetracking. This keeps the flow fast and furious. The action in the story is direct, descriptive, and actually quite visual. Giles also uses the familial bond to create an empathy for the protagonist. This might be a shallow attempt to pull at the readers' heartstrings, but Giles pulls this off masterfully with none of the contrived emotions for which I have criticized in other reviews. In this case, it works, and works well. I get the feeling of a Golden Age of Science Fiction story here, despite the story's thoroughly modern setting. This was a pleasure to read, and I look forward to reading more about Leon and Elliott's adventures.